Benefit from learning what you need to do to build relationships with other LinkedIn members. We will teach you a great way to remain visible and valuable in your target markets by staying top of mind on LinkedIn. There are so many ways to stay top of mind with your connections on LinkedIn and yet almost no one does. That equals “missed opportunities” from my playbook. Both with the new home page layout (image above) and the old layout LinkedIn showed you ways to stay in touch with your network my letting you know a connection was having a work anniversary, birthday or other event. This is a simple way to reach out to that person and send them a personal note of acknowledgement. In the image above it says “15 ways to keep in touch” meaning there are 15 people in my network that I could acknowledge today. 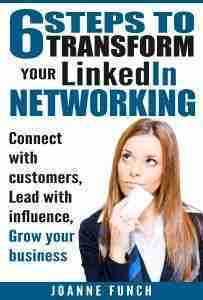 If you took the time to create a LinkedIn profile then my guess is that you are looking to network. Networking is about building relationships, commenting on what’s happening with people in your network and looking for opportunities to engage with them. Some ways are surprisingly simple. After you have won a new LinkedIn connection, it is easier to develop conversations with them. A key method to communicate with them is to send them (on a periodic basis) an article they might find interesting! Know how to make your LinkedIn summary stand out. Your LinkedIn profile can win you a job; we have many stories from successful job seekers and individuals who landed one. Below are a list to steps to take you there too. 2. Create a list of your top 10 or 20 best contacts that you want to know better, work with or get an introduction from. Add them to a spread sheet or use LinkedIn CRM tool to be sure you follow-up back up with them. 3. Post relevant content as a status update and/or group post that brings value to those in your network. If you need more than our 15 Ways to Stay Top of Mind on LinkedIn, check our many LinkedIn resources for more ideas. How do you stay top of mind with your network? I would love to hear what you do and I will share it with everyone here. Email me: joanne@linkedinforbusiness.net.